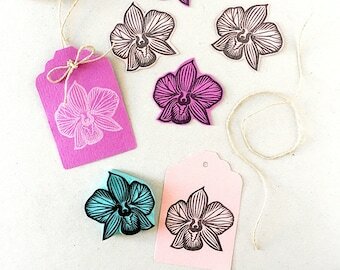 Hand carved rubber stamp collection. 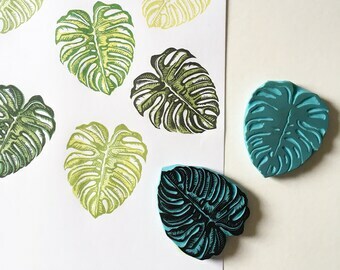 Monstera leaf rubber stamp, hand carved rubber stamps of a two color set Monstera. 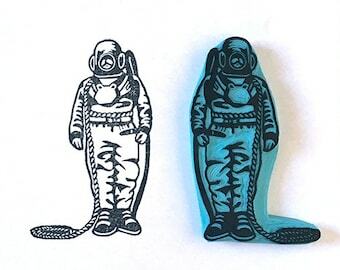 Announcement Welcome to my collection of hand carved rubber stamps! Custom orders always welcome. 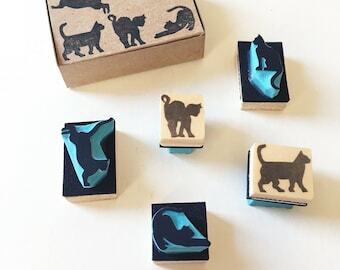 Welcome to my collection of hand carved rubber stamps! Custom orders always welcome. I just received the stamp today. It is stunning. So beautiful. Thank you so much! I love it. Highly recommended!!! I will buy again! Thank you ! 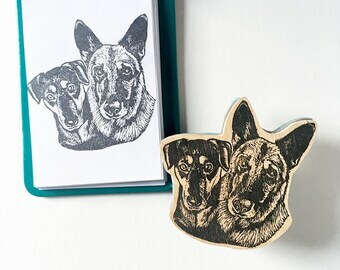 Shipping these two stamps today. I donate 50% of the profit to The David Sheldrick Wildlife Trust in Kenya. These are my charity stamps. 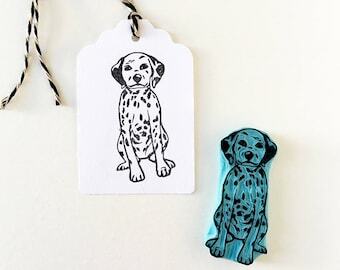 Cute new rubber stamp in my shop, a puppy Dalmatian! Hi, my name is Cassandra. I currently live near Barcelona, Spain. 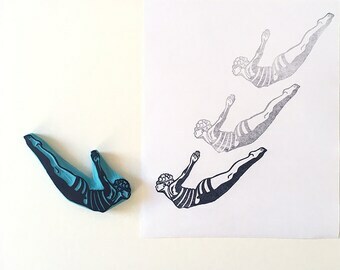 I am a rubber stamp and linocut maker. 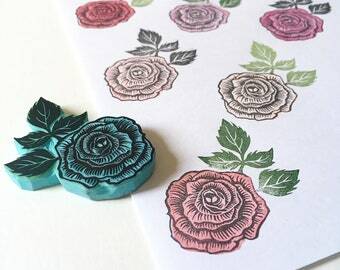 CassaStamps is my Etsy shop devoted to my rubber stamp creations. 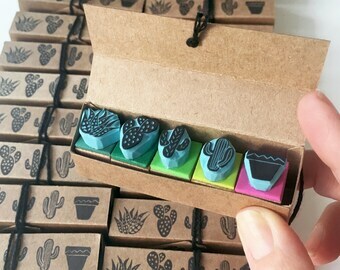 All stamps are hand carved with special care. 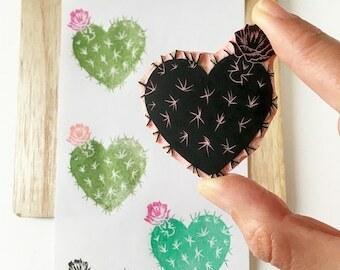 Thank you for visiting my shop and for your support! 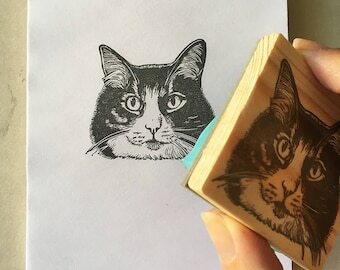 I really appreciate that my stamps could be useful for your next project or as a gift for someone. Hi, my name is Cassandra thank you for stopping by. 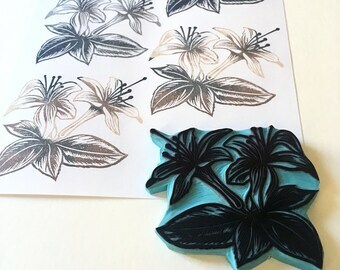 To clean your rubber stamp simply wipe off the ink with baby tissue. Do not wet the wood base, it might warp if so. Depending on quantity I will be happy to offer wholesale services. 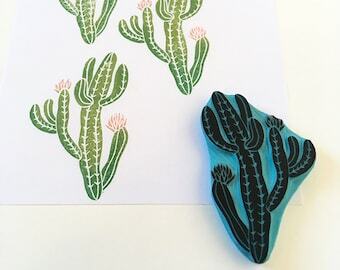 How long does it take for a stamp to be made and shipped? It depends on shipping option selected at the time of purchase. Urgent-DHL Express: 1-2 days to Europe, 3-4 days to USA and Canada, 5-7 days to Africa, Asia and Oceania. What if my package gets lost or stolen? CassaStamps is not responsible for any lost mail. I provided a wrong address at the time of purchase, what can I do? If the order was not shipped yet the address can be changed by sending me a message with the correct address. If the order was shipped I can wait for it to be returned to me by the postal service and ship it back again to the correct address (shipping charges apply again) If the package gets lost is not my responsibility. When upgrading to DHL Express shipping what Europe 1 and Europe 2 stand for? Europe 2: Bulgaria, Chipre, Croacia, Eslovaquia, ESlovenia, Estonia,Hungria, Letonia,Lituania, Malta, Polonia, Rep. Checa, Rumania, Gibraltar, Liechtenstein, marruecos, noruega, suiza, san marino.